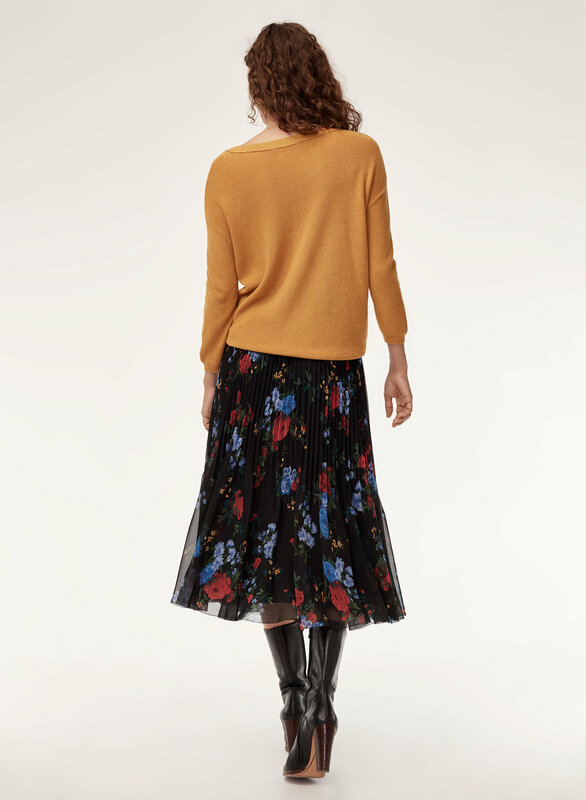 Styled with balzac sweater . 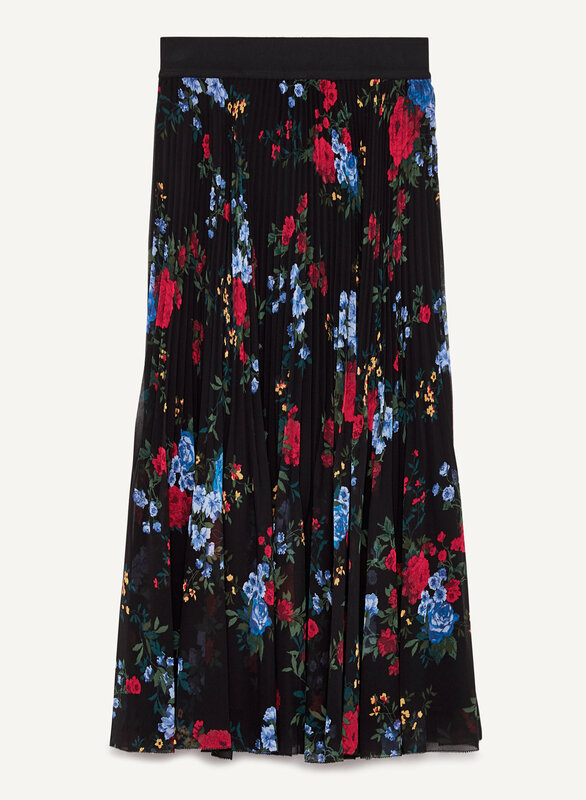 Delicate pleats are rendered in crepe-like chiffon with light, airy sunburst pleats. 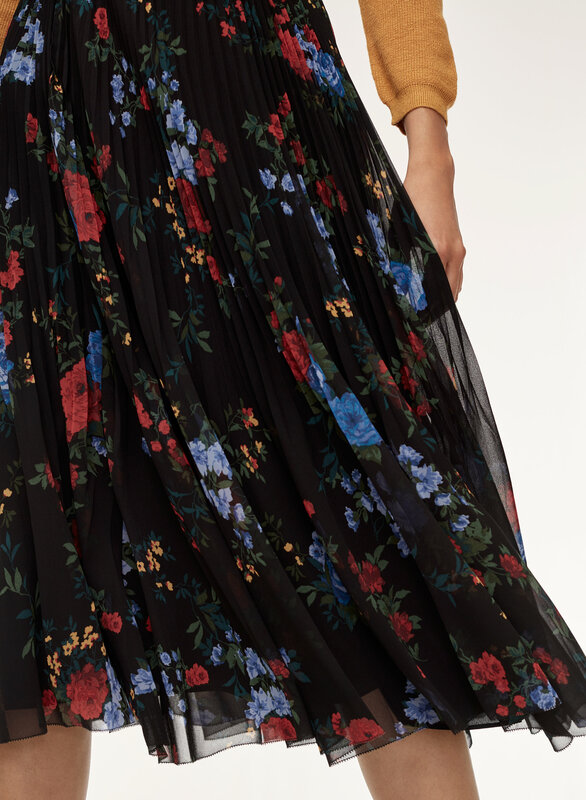 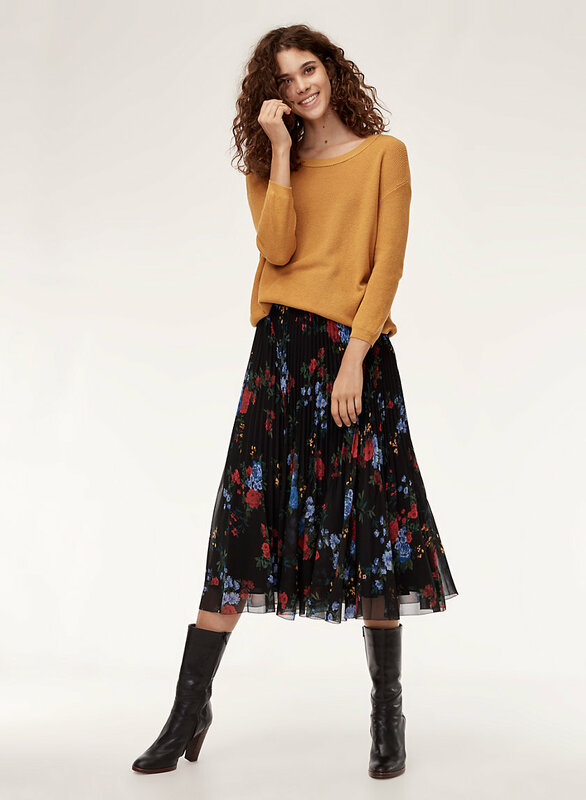 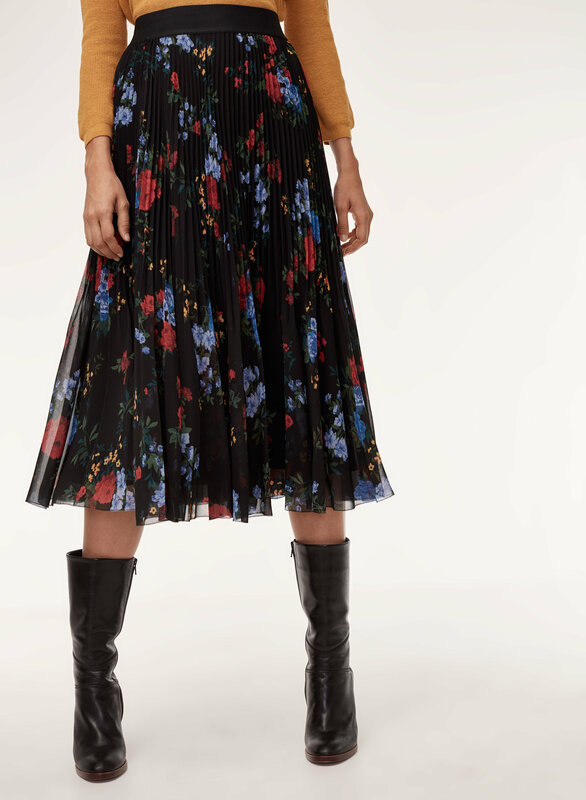 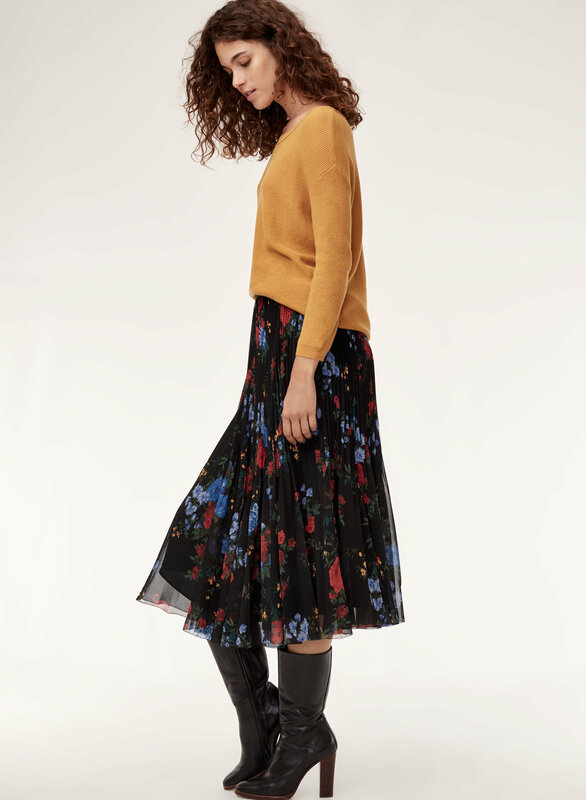 An original small-scale floral print adds a rich, dimensional effect to this dreamy skirt.